Better safe than sorry is the strategy of this Food Allergies Warning For Try-Me Samples for the in-store Bakery. In fact the Food Allergies warning is far bigger than the “Try-Me” invitation to samples the wares. Maybe that is as it should be given the sever results of some allergies. 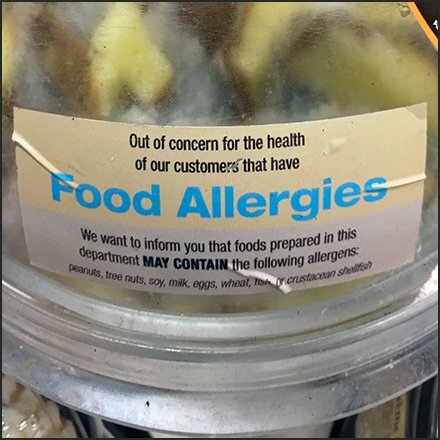 This Food Allergies Warning For Try-Me Samples seen at Weis.